In keeping with NBCA’s mission, NBCA’s Communications & Health Marketing Department implements many robust communications and health marketing initiatives aimed at increasing pubic awareness about deep vein thrombosis (DVT) and pulmonary embolism (PE). 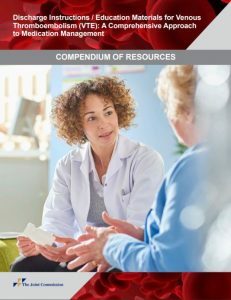 In fact, NBCA had the great honor recently to have several of its educational products stemming from its cooperative agreement with the Centers for Disease Control and Prevention selected for use in a new compendium of venous thromboembolism (VTE) resources developed by The Joint Commission. The Joint Commission is a nonprofit organization that accredits and certifies thousands of healthcare organizations and programs nationwide. They are dedicated to improved healthcare for the public, in collaboration with other stakeholders, by evaluating healthcare organizations and inspiring them to excel in providing safe and effective care of the highest quality and value. Joint Commission accreditation and certification is recognized nationwide as a symbol of quality that reflects an organization’s commitment to meeting certain performance standards. Specifically, the new compendium of resources introduced by The Joint Commission today includes NBCA’s signature Stop the Clot, Spread the Word™ initiative, a program funded through our cooperative agreement with CDC. 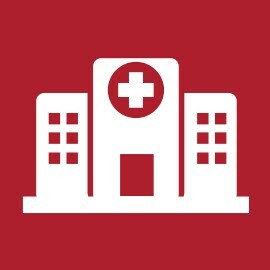 Specifically, the compendium includes links to the campaign’s general patient education infographic and also the educational video for hospitalized patients. In addition, NBCA’s online curriculum for healthcare providers – Stop the Clot® – What Every Healthcare Professional Needs to Know – is another project that stems from our collaboration with CDC that is included. 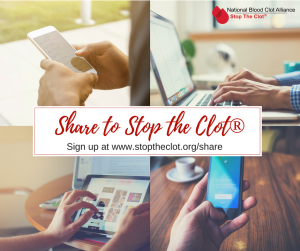 NBCA’s website — www.stoptheclot.org — is also shared in the compendium, with special note made relative to three key sections of the site: About Clots, Patient Stories, and Resources for Healthcare Professionals. To access the free Compendium of Resources, please visit The Joint Commission’s Department of Health Services Research website. Read a recent Marcom Stewardship Report, providing important information about the work performed and the results realized by NBCA’s Communications & Health Marketing team here: 2016 Communications and Health Marketing Stewardship Report. Chief among NBCA’s larger programs are two of the organization’s most widely recognized campaigns: Stop the Clot, Spread the Word™ and also our Women & Blood Clots initiative. NBCA’s widely acclaimed Stop the Clot, Spread the Word™ public awareness campaign stems from NBCA’s five-year cooperative agreement with the Centers for Disease Control and Prevention. This campaign involves a dynamic online or digital media effort that has reached more than 200 million people with information about blood clot risks and blood clot signs and symptoms since it was launched. 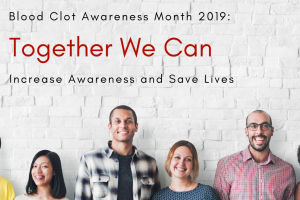 The campaign, which rolled out in March 2015 in recognition of Blood Clot Awareness Month, is made possible through funding provided to the National Blood Clot Alliance by the Centers for Disease Control and Prevention under Cooperative Agreement number 1U27DD001153. You can read more about this campaign here: Stop the Clot, Spread the Word™ and see an overview of the Year One promotional results for the campaign here: One Page Summary. In subsequent years of this program, NBCA and CDC efforts have been focused on DVT/PE risks associated with hospitalization, pregnancy, and oncology. In August 2016, NBCA rolled out the arm of the program focused on VTE risks associated with hospitalization and surgery, as a special prong of this Stop the Clot, Spread the Word™ initiative. You can read more about this aspect of the program here, and view all of the collaterals created as a result of this special focus here. You also can see a summary of the results of the Year Two program focused on blood clots and hospitalization here. 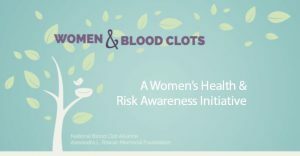 In August 2018, this suite of Stop the Clot, Spread the Word™ resources was further expanded, when NBCA introduced the next phase of the program focused on pregnancy and childbirth, which shares information that will help women work with their healthcare providers to assess their risk and take steps to prevent blood clots. These resources include a video, infographic, and web-based educational tools such as a risk factors checklist. 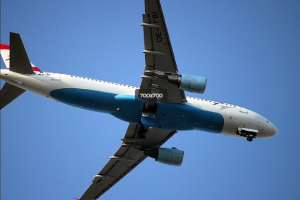 You can read about the introduction of this next phase of this program here: Press release. We’ll be sharing results of this effort focused on VTE and pregnancy/childbirth soon. Most recently, resources from this important public health awareness campaign were translated for use among people who speak Spanish. The Spanish language translation of this content demonstrates the growing reach of this work. Stay tuned for more information about this crucial public health effort coming soon. For more information about this program, please contact NBCA’s Director of Communications & Health Marketing here. NBCA has a unique Web-based information portal, focused singularly on the risk of blood clots among women, particularly women of child bearing age who are making important choices about birth control. Working in partnership with the Alexandra L. Rowan Memorial Foundation, this program focuses squarely on the information needs of women. This important program was unveiled in August 2015. You can learn more about the program here. Or, visit the program Web portal at womenandbloodclots.org. The campaign also features a multi-part video series you can view here, as well as a striking companion infographic you can see here. In 2016, NBCA expanded this program with the creation of a suite of important resources, including a risk assessment survey, focused on the blood clot risks associated with estrogen-based birth control. You can view these important resources here. Also, NBCA’s work with the Rowan Foundation gave rise to a new online support community, powered by Inspire. Launched as a safe and supportive online community where women affected by DVT/PE could share experiences and connect with others who face similar challenges, the site quickly grew to reflect the diverse spectrum of individuals — men and women, young and old — affected by DVT/PE. Today, this peer-to-peer online discussion community boasts more than 3,000 members and continues to grow daily. You can join the conversation here: Sign Up for Free. In 2017, NBCA extended its outreach to university-based student health centers nationwide, with crucial information about birth control options, and the importance of recognizing the blood clot risks associated with estrogen-based or hormonal birth control. We also conducted a broad-based outreach effort, reaching millions of people nationwide with this information. In 2018, we amplified these efforts further, adding sororities throughout the U.S. to the target audiences we aim to reach with this important public health information, and also extending our reach in web-based news outlets and radio stations nationwide, and also creating a dedicated Women & Blood Clots Twitter account. NBCA’s Women & Blood Clots program is funded by a generous grant from the Rowan Foundation. In 2019, NBCA plans to continue its focus on the specific information needs of young woman making crucial choices about family planning and birth control, by delivering this life-saving information directly into the hands of the women who need it. NBCA will continue its outreach efforts among sororities, and via other avenues to expand awareness, to achieve this goal. For more information about this program, please contact NBCA’s Director of Communications & Health Marketing here. Recently, NBCA unveiled a new social sharing initiative called Share to Stop the Clot®. Sign up in just three simple steps and start sharing the life-saving information that matters most. When you join this free program, you will receive exclusive access to NBCA’s social media content, which you can then share with your friends, family, and social networks. Also, be added to Social Sharing Opportunity E-mail Alerts, and be among the first people to receive updates about new content to share stemming from NBCA’s new programs and services. Help us save lives and Share to Stop the Clot®. Social Media — Ongoing development of a strong, increasingly engaged online community through daily offerings of social media content via Twitter, Facebook, Instagram, Pinterest and YouTube. Peer-to-Peer Support — NBCA’s Marcom team diligently moderates the peer-to-peer Stop the Clot Online Support Group & Discussion Community, which today boasts more than 3,000 members and will continue to grow and be an increasingly important resource for our constituency in the years to come. Website Management — Routine management of NBCA’s website, and the updating of web content with new information and resources on an ongoing basis. Recently, NBCA’s Marcom team updated the NBCA website, and the site has since received several awards, including a 2018 Silver W3 Award in the non-profit organization category, with NBCA’s website judged among 5,000 entries, making this a noteworthy accomplishment. NBCA’s newly unveiled site also won a Silver Health and Wellness Design Award, from Graphic Design USA, with just 150 winners among 1,500 entries. e-Newsletter — Development and distribution of NBCA’s monthly e-Newsletter that enables NBCA to share timely and topical information with our constituents on a regular basis. To have our e-Newsletter delivered to your inbox sign-up here. MASAB Support — Working with the organization’s Medical & Scientific Advisory Board (MASAB), NBCA’s Marcom team helps to support the organization’s communication about advances in the diagnosis and treatment of DVT/PE and its complications. Learn more about the prestigious individuals who serve on MASAB: More information. Read the MASAB Memos posted on NBCA’s website to provide updates about new clinical research here. Online VTE Curriculum — NBCA’s online VTE curriculum for healthcare professionals — Stop the Clot® – What Every Healthcare Professional Should Know — provides a valuable online learning opportunity and continuing medical education credits for doctors, pharmacists, nurses, and allied health professionals alike. This program is orchestrated by our Communications & Health Marketing Department, in collaboration with the Centers for Disease Control and Prevention, and was recently updated to reflect the latest evidence-based information in this clinical field. Inquiries — NBCA Marcom is “on call” for people who contact the organization by e-mail and via social media in search of information about blood clots. NBCA cannot provide medical advice, but we’re frequently able to help by sharing resources and information that enable people to be their own best advocates with their healthcare providers. For more information about NBCA’s programs and services, please contact our Director of Communications & Health Marketing, Lisa Fullam, at lfullam@stoptheclot.org, or contact us here.